A few weeks ago I had the pleasure of meeting Kayla Itsines. Who has not heard of Kayla Itsines? Best known for her 12 week workout guide to help women achieve a bikini body in the most efficient and effective way possible. 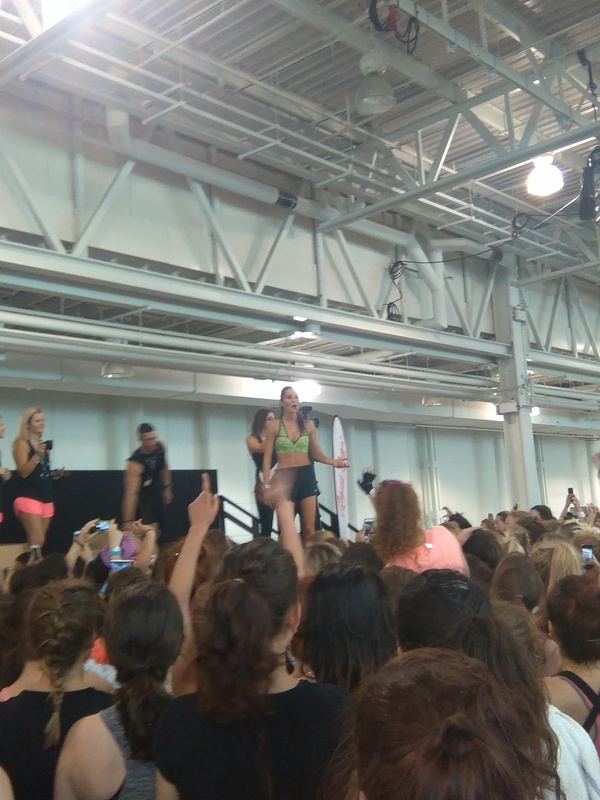 As part of Kayla’s world tour, she came to London and ran two bootcamp sessions at London Olympia. As always I love trying out new workouts and managed to get myself a spot on her afternoon session. Kayla Itsines is a twenty-three year old Australian personal trainer. Her career in the fitness industry started in 2008 after getting her personal training certificate from the Australian Institute of Fitness. 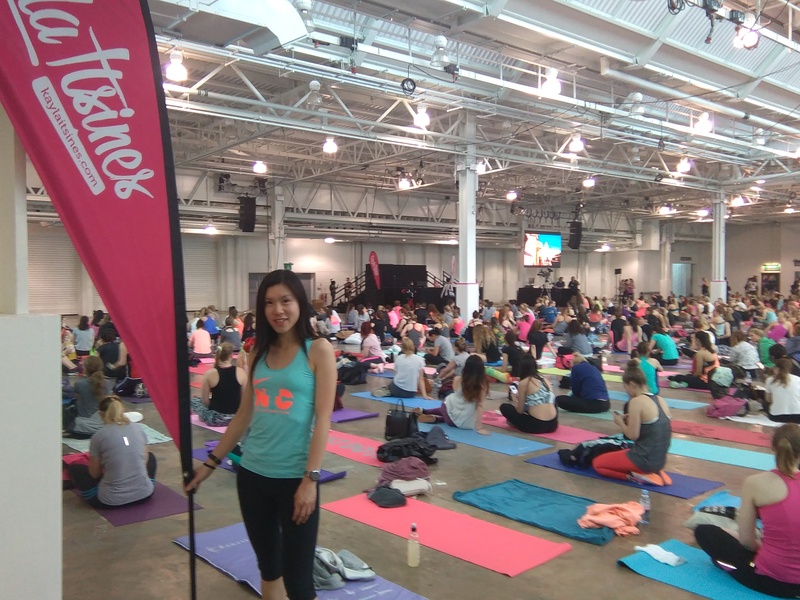 While working in a women’s only gym, she discovered that most of the women she trained not only wanted to get fit but to achieve a ‘bikini body’. With that in mind, she decided to create her own workouts combining cardio and nutrition called Kayla Itsines Guides. 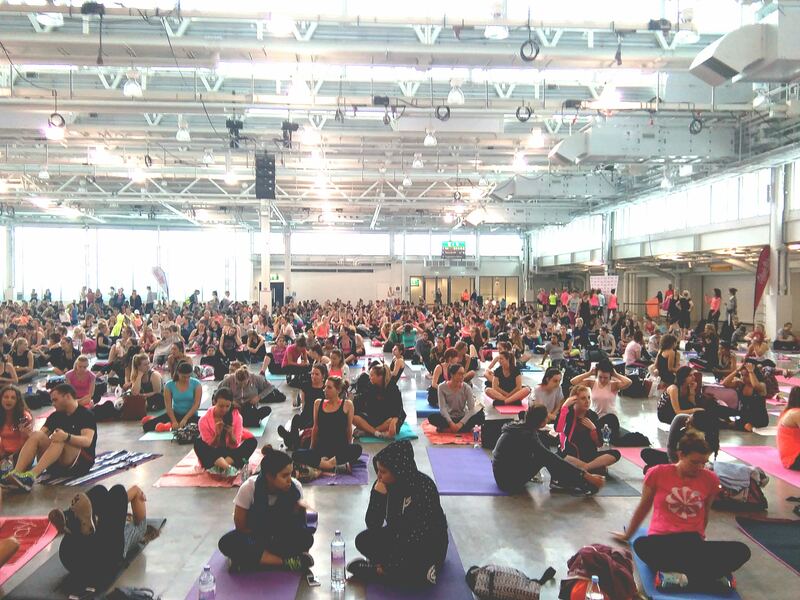 The atmosphere was absolutely incredible, there must had been a over a thousand girls that took part in her bootcamp session. 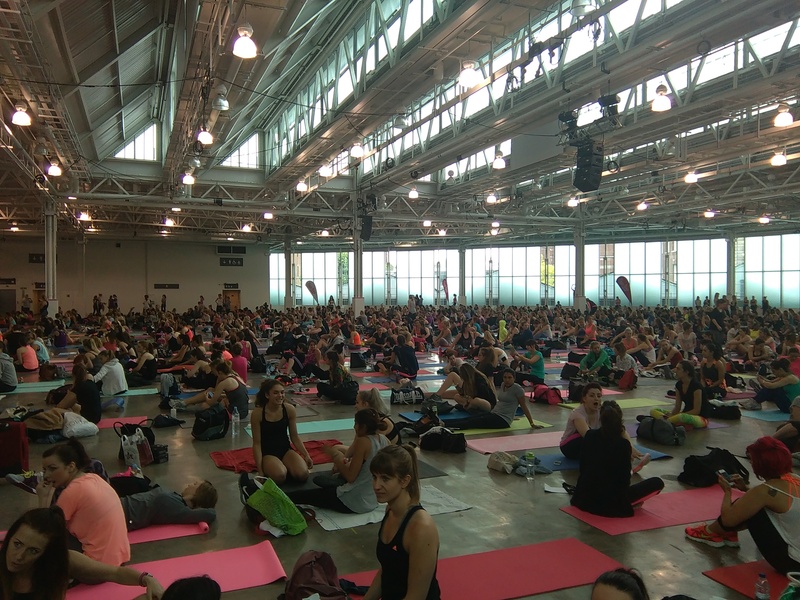 Everyone was getting set up with their mats laid out and water bottles filled up ready for an explosive workout. What an entrance Kayla made, heading from the back of the hall with the music pumping. Everyone cheered and clapped when she finally made it over to the stage. Although it was only a 30 minute workout, it was very intense. We started off with some warm-ups to get the heart pumping. She demonstrated her workout drills aimed at arms and abs, which we did 2 sets of each. Burpees, pushups, mountain climbers, sit up with twist, straight line sit ups, ab bikes, lay down push ups… I could feel my abs hurting when I attempted the ab bikes and straight line sit ups…ouch! Part of the workout, she split us into 2 groups where each group did a different drill like planks & burpess or squats and mountain climbers. I couldn’t believe just a 30 minute workout could leave me sore and breathless dripping with sweat. After the class everyone gathered over to the stage to take a group photo with Kayla and while on stage she gave out her merchandise. But what better way to distribute it, then throw it out to the crowd. Of course the crowd went crazy, everyone tried to reach out to catch a water bottle or a foam roller. 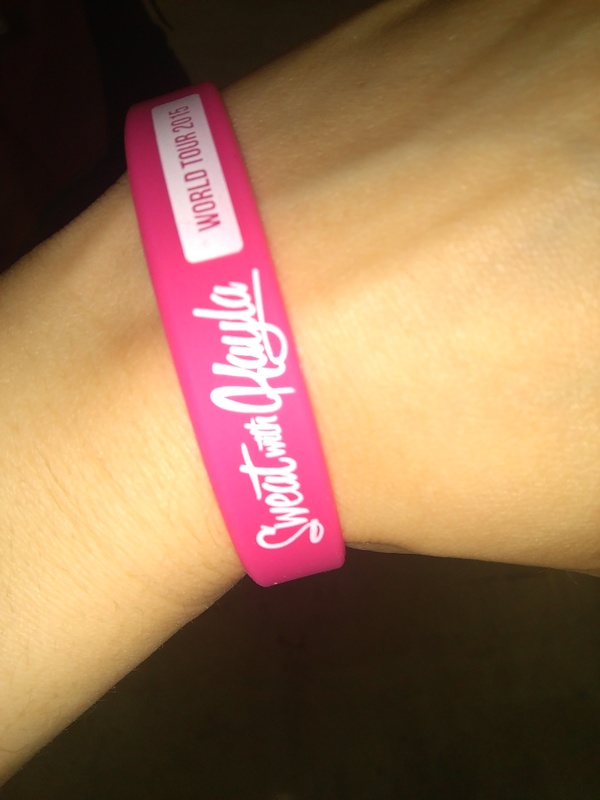 I had no chance with that crowd, but earlier on during the workout I was given a wristband. So I didn’t mind as much. Before heading off everyone had the opportunity to take a photo with Kayla and of course I couldn’t leave without one. I have yet to try out her Bikini Body workout, but will definitely give it a go. Try it out for yourself and see the transformation; Kayla Itsines -12 week Bikini body workout.